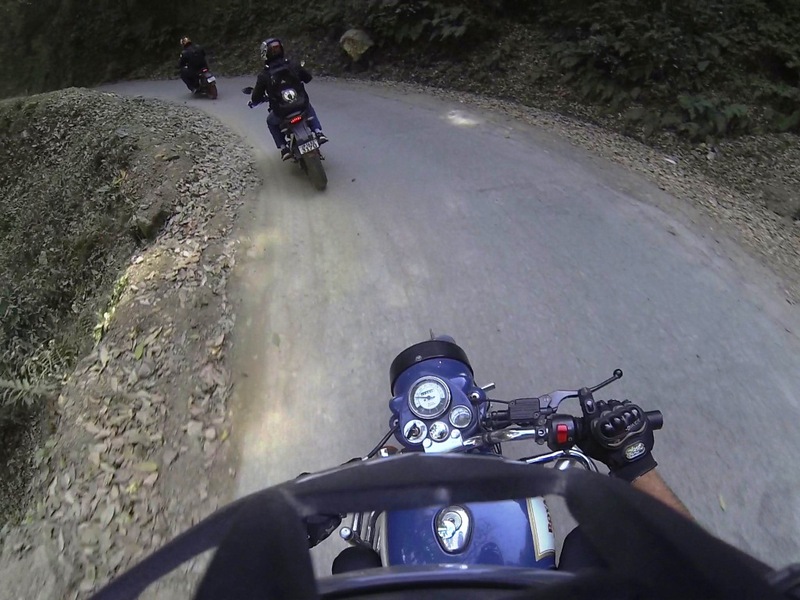 Home / Reader Stories / Ride Stories / Getting Chail'ed! The long Holi weekend of March 2016 sent many people into a tizzy. Among them were my motorcycling friends who were furiously making plans to make the long holidays count. Someone was going to Spiti, someone to Udaipur, someone to Ranthambore - it appeared as if the entire city was heading out. It probably was, as I got to know later. While I politely declined invitations from some of my friends to join them, I wondered what on earth would I do? Where would I go and with whom? Or, why didn't I accept their invitation in the first place? A week before Holi, the alarm bells in my mind went ringing. It was high time. Something had to be done. I was certain of two things before I opened my laptop to check for destinations. 1. I would ride on my motorcycle. 2. I would ride to a quiet, offbeat place where people wouldn't play "DJ Wale Babu" in the middle of the night and wreck my precious sleep. 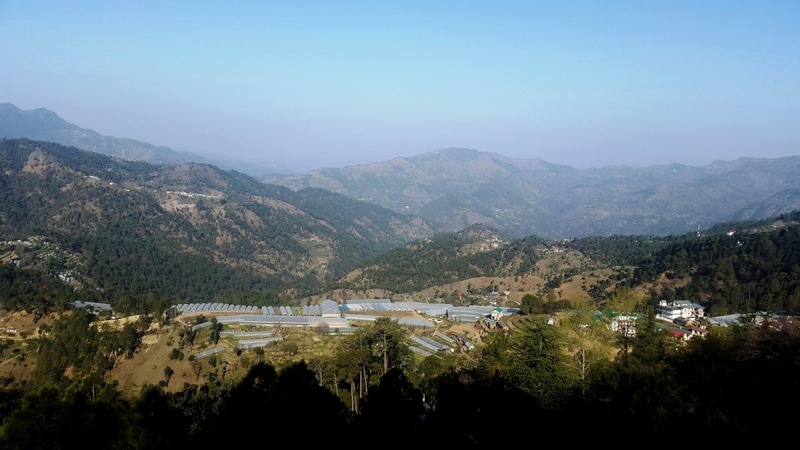 I finally zeroed down on Chail, Himachal Pradesh. I read that it was serene, quiet, offbeat and had beautiful roads. Done. I was going there. It was a casual conversation with my brother about my weekend plans when he decided that even he would join me as well as his 4 friends would do in our car (the Support vehicle). Realised I could do with a Support Vehicle (SV) as it was my first long haul in North India, a completely new territory for both me and my machine. A friend who called me to ask my plans decided to join in too with his best friend (One on D200, the other on a C350). That was it. I could not have any more people joining me. What was supposed to be a solo ride turned into a trip for 7! This wasn't a leisure trip by any means. The plan was to start on Saturday 7 AM and return by Sunday morning. Two days. 820 kms. 10 hours of sleep in between. It took me an entire day to get the machine prepped up. Torque adjustments, brake pads sand papered and suspension adjustments were among the many things I did on that Friday. A tank-full of HP Power and I was home, preparing myself mentally for the big day tomorrow. We managed to start at 7:30 AM after an hour's delay by the other two bikers. As we made way out of Delhi on the already congested GT Road, the weather turned unexpectedly beautiful. Dark clouds and chilly winds greeted us into Haryana. I spoke to the vehicle on my comm and we (3 bikes) were then given the green to ride at our pace and meet up for breakfast at Amrik Sukhdev, Murthal. This is when our 'real' ride started as we slithered past the heavy North bound traffic like blowtorch through butter. We chose to sit outside at Sukhdev as the weather was too tempting. It amazed me to see SO many people there. It was a mini mela of sorts. People in all kinds of cars with all kinds of moods relished paranthas while clicking selfies. It was, you can say, cheerful, to someone who had no clue of the territories ahead. We moved out of Sukhdev by around 10 and the dark clouds gave us company. Crossing tolls and enjoying the fresh wind, I found myself and my machine having a huge grin. Why wouldn't it be? We were doing what we do the best - Attaining Nirvana. The density of traffic increased post Ambala and we stopped for some liquid in our bodies at Dera Bassi. We then called up our 7th participant (Brother's armyman friend) stationed at Chandigarh, whom we picked up later and headed to the nearby Pal Dhaba to enjoy some insanely good Punjabi food. By the time we left Chandigarh, it was 3 PM. I had initially planned to reach Chail by 4 so that I could enjoy the sunset. Sigh! The rays of the sun bore down on us in miserable fashion as we left Chandigarh. Once we crossed the Himalayan Expressway toll, it was a sight to behold! Hundreds and Hundreds of private cars (Mostly DL/HR numbers) making their way uphill! It was as if all of Delhi assembled at Jantar Mantar and decided to drive to Shimla! I perhaps cannot describe in words how tedious and taxing a task it was to overtake those cars. Saw an accident in front of my own eyes when an i20 (full of young boys who were probably sloshed) overtook a Verna on a blind turn only to swerve left suddenly, damaging the Verna's bumper as well as it's own. What's worse? They immediately took off. Panting and sighing up the road, I found some empty places of stretch where I let the machine rip to cover up the lost time (wanted to reach before dark), but to no avail. Even the evening traffic of NH8 near Ambience Mall hadn't frustrated me as much as this. I did catch up with the i20 later and I sure wasn't surprised to see alcohol bottles in their hands. Reached Solan and heaved a sigh of relief as I expected the traffic to thin out now since I was taking a different road. Checked with the SV who was still way behind and they gave us the green to proceed to Chail, albeit with utmost safety and cohesion, as from now the road became quieter, eerier and darker. The road from Solan to Kandaghat is beautiful. It has dense forests at patches and offers a terrific view of the hills at some places. The road was well patched with barely a pothole in sight. We waited for the SV to catch up, clicked a few photos, got some water in us and then resumed. By then, the dusk was beginning to set in and within a few minutes, I could see my headlamps/AUX lamps lighting up the road. 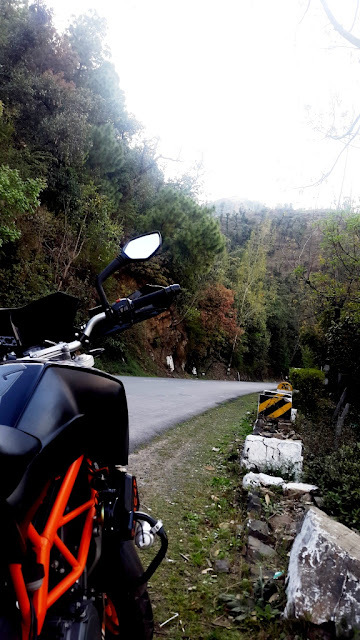 As I exited Kandaghat towards Chail, the road became narrower, had potholes/bumps on the turns (which meant no leaning) and the chill began to make it's presence known. At one turn, I saw a Ninja 300 and a CBR 250R coming towards us, and as if on reflex, both of us gave our thumbs up to each other. Ah! 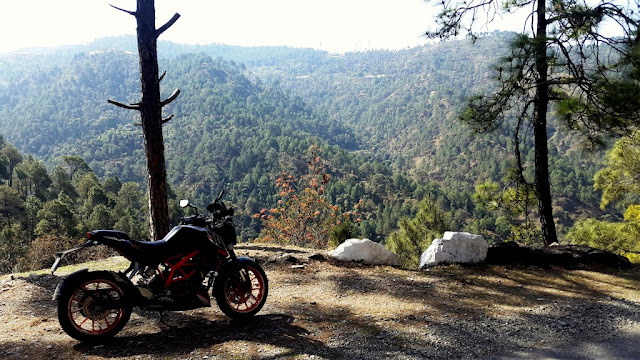 The beauty of motorcycling remains intact at 5000 feet in a place where there's hardly a soul in sight! I wouldn't admit to say that the roads and the entire environment around me became eerier and quiter as darkness set in and the 3 of us made our way uphill. There was barely and traffic and riding through the serpentine roads, I began to wonder what would a solo rider do right now if he had a flat tyre. Imaginations of a weary mind! The 3 motorcycles reached Chail at around 8:30 PM and we were quickly ushered into our room, where I somersaulted straight to the bed to give my body some respite. 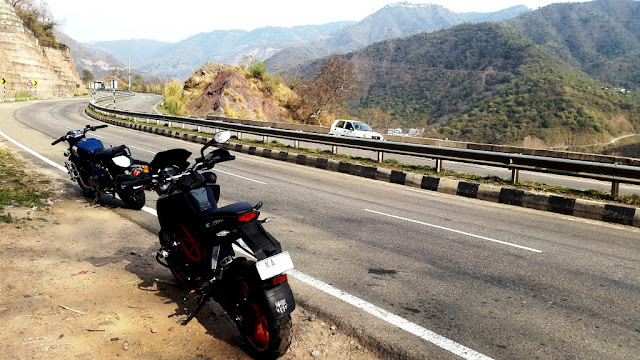 I had ridden 410 kms so far, out of which almost 150 kms were on hilly roads. I had lead and navigated the convoy throughout and always faced the brunt of dolts driving recklessly and overtaking on my lane on blind turns. My mind was exhausted. My fingers numb. The SV reached an hour later, and we all had sumptuous pahadi dinner and enjoyed some amazing conversations. By midnight, we hit the sack. "Sir aap jaldi reception mein aaiye. Apni bike hata lijiye kyonki ek gaadi ko nikalna hai". These were the words that woke me up at 7AM on a chilly morning at 7000 feet. I obviously wanted to sleep longer as I could feel the next morning aftereffects of the previous day's ride. My joints hurt and my eyes were blood red. Nevertheless, me and the Bullet rider got the 3 bikes out and it took a hot cup of tea to freshen me up. Went to the balcony to stare at the mere beauty of the hills and soak the early morning sun. Gradually, everyone was up and by 10, we had breakfast. At precisely 10:30, we decided to push off for Delhi. 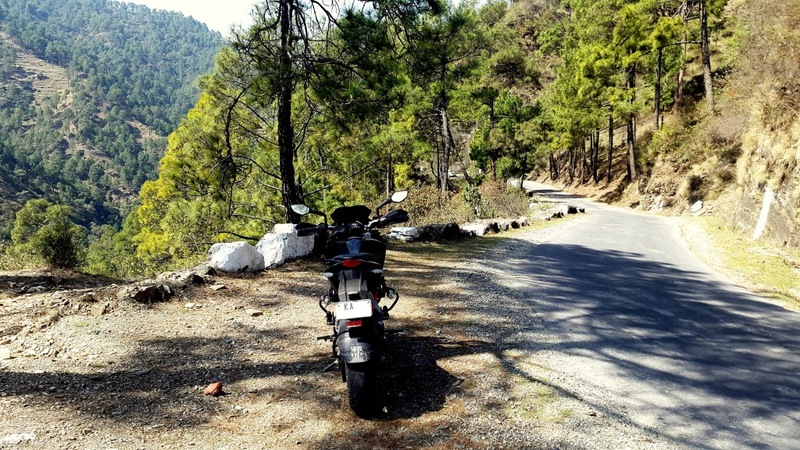 We all road together until Sadhupul (which is between Chail-Kandaghat), as I personally wanted to simply use my engine braking while I enjoyed the terrific views around me. Twisting the throttle was the last thing in my mind. Stopped at a couple of places for some photography of the babe. Post Sadhupul, I got my green from the SV to take off and rendezvous at Solan. As expected, right before the Kandaghat turn towards Solan, I saw a group of 4-5 Royal Enfield riders who, just like me, gave the thumbs up in reflex. These are nothing but small things that cheer you up when you know your body is at 50% and you have a large distance to cover. Waiting for the SV at Solan, my other two riders said they wished to hurry back to Delhi due to some work, and I gladly let them proceed. Me and the SV stopped at the McDonalds near Dharampur as by then, the heat had begun to set in. The body felt weary and dehydrated. As we left Chandigarh by 3, I experienced a massive jam due to a flyover being constructed, where I again lost the SV. Got back on the comms and asked them to meet me at an Amul Ice Cream parlour after the 1st toll on the Chandigarh-Ambala highway. This ice cream parlour is at one corner of an Essar Petrol Pump and was empty when I walked in. It had a lot of flavours on offer along with every Amul product there is. Good solace for people like me who were craving to get some cool liquid inside them! I was riding +/- 500 metres with the SV until I encountered a massive jam just before Karnal. There were hundreds of private vehicles on my lane as well as the service lane. Only the tiny grass median between them was spared. As I made way across huge trucks and buses in that intolerable heat, the bike suddenly stalled. I immediately pulled over to the median where the screen greeted me with "HIGH COOLANT TEMPERATURE". I found something amiss, because my bike RARELY has given me this message, no matter how bad the heat. It happened once when I was at 1600 on the odo because my fan had issues. Nevertheless, I gave it the benefit of doubt that probably like me, the bike was out of juice too. There was no tree in sight nor any space to move as I was surrounded by cars and trucks as far as the eye could see. The shadows of the passing trucks gave some respite from the heat. The temperature bar went down two levels after half an hour. I resumed then, and within a minute, the fan roared back to life and the bars went more downwards. Hardly had I ridden for around 15 kilometres, that I encountered heavy traffic before the second toll. Again, the bike stalled and the message flashed. By then, it was almost 5:15 PM and the sun was setting in, bringing at least one form of respite to me. Called up a few friends who recommended checking the wiring and the fuses. All good there, it was certainly something else. The fan was working on and off, which was bewildering, to say the least. Quite clearly, the bike was throwing tantrums at me too! Thanks to the setting sun, the engine cooled down quicker than expected and I was soon on my way, promising to myself to not to go back to 1st gear and heat the engine up if I encountered a jam. One check with the SV and it turns out they were meeting for me at Haveli, Murthal. Almost 60 kms ahead of me. Had to double time. One of the major problems of riding a motorcycle at night in India is that very few people will give you way to overtake them. You can flash your lights and honk all you want, but to no avail. Those who do give you way, look at you in shock as if "Really? Did you just overtake me?" and then there are some whose ego is as massive as their matchboxes-on-four-wheels. Boy did I have a tough time getting rid of the Fortuners and Endeavours who couldn't tolerate a motorcycle overtaking them! Nevertheless, I reached Haveli by around 7:30 PM and narrated the incident to the other guys. We rested there for almost an hour. I purposely did that, so that the bike would cool down completely. Haveli, at that point of time, resembled a fair. People dancing, playing folk music, lighting arrangements everywhere and the constant chatter around me was pretty relaxing, I must say. To add to that, the cool breeze made me even drowsier, and I did fancy a short nap but shooed those thoughts away, as the journey was incomplete and I still had a pretty long way to go. The traffic did thin out after that, and by the time I entered Delhi, I barely had to shift into the first 3 gears. I reached home at around 9:45 PM. The SV came in at 10:10 PM. Somehow covered and secured the bike, dumped my bag on my table and collapsed on the bed. As I stared at the ceiling as the room got chilly, I was amazed at the events of the past 48 hours. 820 kms in two days with only a 12 hour rest in between. That was something. The brutal acceleration of this motorcycle on those beautiful uphill roads still rang in my ears. Well, it would be quite a while before I could get rid of the hangover. But hell, I'd do it all over again any day. Great place to stop and grab a quick bite. There was initial confusion as to how to order. Regardless, we had to stand in the long queue. Service speed average. Food was good. Washrooms very clean. Very clean and hygienic. Order served quickly. Order at the counter. It has a Subway too, in the same complex in case anyone wants variations. Delicious food. Quick service. We were lucky to not have to wait for empty tables. Reasonably priced. Must try! 4. Hotel Grand Sunset, Chail. For it's price, it's reasonable. Terrific view from the 'Premium' rooms. Service was quick and courteous. Food was okay-ish but overpriced. We had immense trouble parking our SV as the hotel's own parking lot was packed. Given that we were in a sleepy town 7000 feet above the ground, I am happy and satisfied with the choice I made. Has a host of other restaurants and fast food joints in the complex. Restaurant and parking were understandably packed. Service was quick. Food was okay. 6. Amul Ice Cream Parlour, 2 kms after 1st toll on Ambala-Chandigarh expressway. Lots of options. Clean. No washroom. Attached to an Essar fuel station so you can tank up while you cool your body down. It appeared as if I gate-crashed a village festival when I entered the premises. People dancing to Bhangra, kids playing around, loads and loads of food options, extremely clean washrooms & reliable/safe parking. Mighty impressed by this place. Anyone seeking more information, help or guidance about this route or trip can email the author at thebarcalad@gmail.com. Cheers! You might also like to read! I am also a passionate bike rider and keenly follow your blog for some good stuff and some tips about traveling around on the bike. Its a good post and it was worth reading it. Waiting to read some more. Thanks a lot and will convey this comment to the author of the post. Constantly trying to update the blog with more ride stories! Follow on instagram and facebook as well! The free https://www.onlinetechblogs.com/ is used for the free online tech blogs for free. 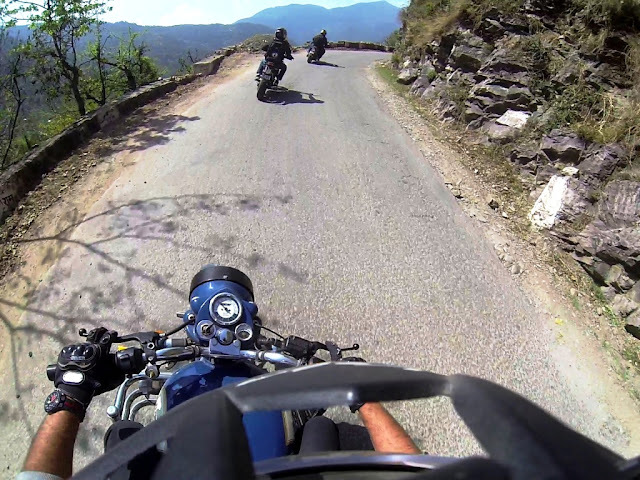 How To Ride a Motorcycle Safely in India? Make sure you turn on the volume while watching these ads.